Meghan Morrison has worked with over 100 nonprofit and social enterprise organizations since founding Swift River Consulting in 2004. 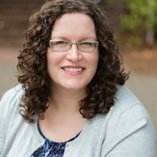 As a former employee of Salesforce and with over ten years of Salesforce implementation experience for nonprofit organizations, Meghan is a recognized leader in providing expertise to organizations looking to extend their reach, increase fundraising effectiveness, and better engage with constituents and communities. Meghan has been in the high-tech industry working with web-based software solutions for 20 years, and has delivered technology solutions to nonprofits for the last 13 years. As one of the original Salesforce Foundation consulting partners, Meghan has been an integral part of the growth of the Force.com platform in the nonprofit community. Additionally, she founded the Austin Nonprofit Salesforce User Group in 2009, and was one of the pioneering members of the very popular NPSF Google Group. Meghan’s first experience with the nonprofit sector was in 2002 at Groundspring.org (now under Network for Good). As the Customer Support and Operations Manager, Meghan not only learned how to fulfill the special technological needs of the nonprofit sector, but also realized the power of Software-as-a-Service (SaaS) solutions to consolidate an organization’s data management needs into a single user-friendly system. Meghan joined Salesforce as an employee after learning of its commitment to nonprofits via the Salesforce Foundation’s software license donation program, and became a member of the Salesforce Foundation Steering Committee. 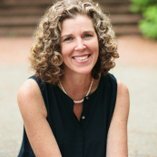 Prior to working in nonprofit technology, Meghan’s experiences included roles in the online community software space (The Well/Well Engaged), online advertising (AOL/Global Network Navigator/Webcrawler), and traditional print newspapers (The Washington Post, San Francisco Chronicle, and The Seattle Times). She started her career as a social worker for Child Protective Services in inner-city Boston. With a bachelor’s degree in Sociology and Masters level coursework in Organizational Development, Meghan’s expertise in human behavior and systems has helped her advise Swift River’s clients in the face of today’s rapidly changing technology landscape. With the ultimate goal of “being the change you want to see”, Meghan’s approach to her work is personal, communicative, and flexible. 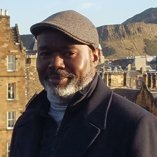 Gerald is the UK Director of Business Development for Swift River and also the Chief Executive of the Super Power Agency, a new nonprofit focused on youth writing and creative expression based in Edinburgh. He is also the founder and principal consultant at Black Unicorn Consultants, a new firm specialising in coaching and consulting for nonprofit organisations and leaders, especially nonprofit leaders of colour. From 2010 – 2017, Gerald was the CEO of 826 National, where he led the strategic direction, administration and building of resources for the network of affiliate organisations located in eight US cities, as well the establishment of affiliates in additional US and international cities. 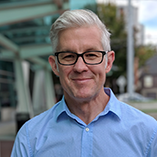 With more than twenty years of management and development experience at local and national nonprofit organisations, Gerald is a respected trainer and sought after speaker on topics of youth development, writing, creativity, and education access. He has been interviewed regularly on these topics and appeared on CBS News This Morning, NBC Nightly News, CNN’s Anderson Cooper’s 360, and The Michael Eric Dyson Show, and has had articles published in the Huffington Post and GOOD Online. Gerald was awarded the 2016 News Corp Community Hero Award and is a current fellow in the Pahara-Aspen Institute Education Fellowship. Originally from Harlem, NYC, Gerald has a BA in Film Studies from Wesleyan University and an MFA in Writing from the School of the Art Institute of Chicago. Sonny has worked in the nonprofit/nongovernmental sectors for close to 20 years. He specializes in system design, implementation and integration; 10 of those specifically with Salesforce.com. As a highly skilled business analyst and solution architect, Sonny excels at delivering best of class business solutions by bridging nontechnical stakeholders and end users with complicated business process and back-end developers. He is capable of understanding intricate business processes and requirements and able to provide high impact solutions across all facets of an organization. Kristina has four years of nonprofit Salesforce experience, including implementations and migrations onto the Salesforce.com platform. She focuses exclusively on nonprofit Salesforce consulting with small and mid-size nonprofits. Additionally, she served on staff with Austin-based nonprofit Health Alliance for Austin Musicians (HAAM), managing their conversion to the Salesforce.com platform. Kristina has completed more than two dozen migrations to Salesforce. 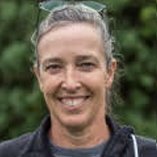 Dianna became an Salesforce Administrator by accident when she began working for EarthCorps, an environmental and leadership training nonprofit located in Seattle, Washington. After 5 years and the migration of 7 different EarthCorps databases into Salesforce, she now has a passion for helping her nonprofit clients automate their systems as well as understand and tell their story through data.